Happy Hump Day my friends. Time is sure flying by. Seems like Corbin just got here and it is almost time for him to go home. 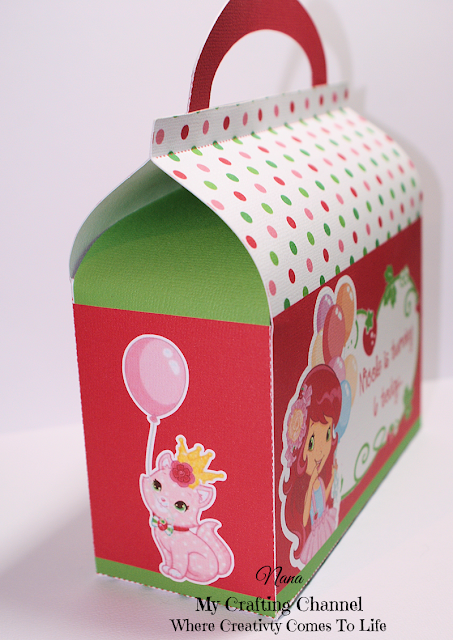 This morning I want to share a treat box and cupcake wrapper I designed a while back and never got around to posting. I know some of you may be tired of treat boxes but I love making them and have really loved designing my own boxes and then decorating them. This is one using the X-Large Box I designed. This is my second attempt at cupcake wrappers I think it turned out really cute. What say you. 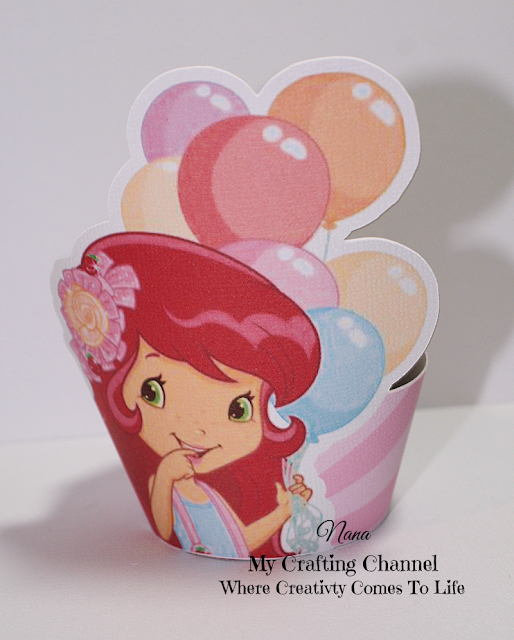 Those are so fun & CUTE for a little girls Birthday party! Your treat box looks so amazing! I can never get enough of the adorable designs you come up with! The cupcake wrapper looks so amazing, I just love how cute it is! I love Strawberry Shortacke!! Absolutely adorable my friend!! 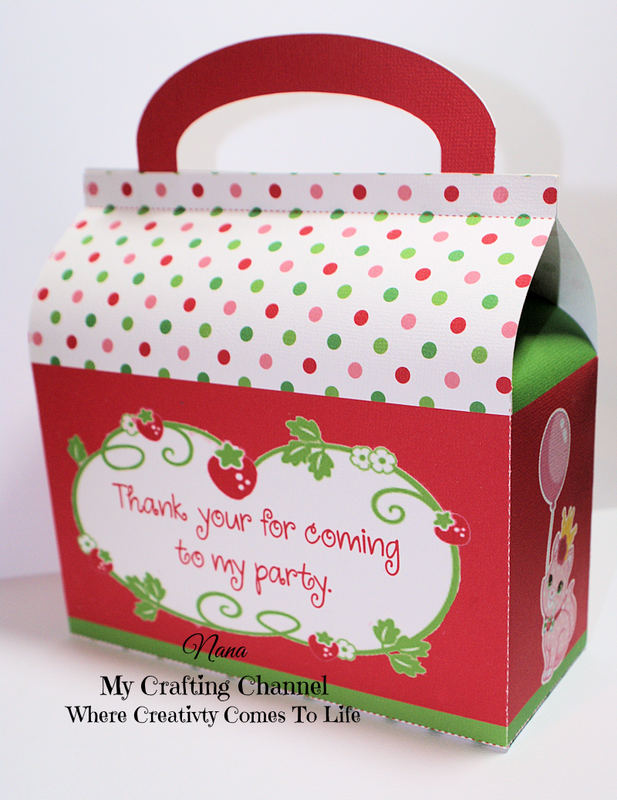 What a adorable treat box and cupcake holder!!! I love all your treat boxes!!! Have a great day. You are doing a fabulous job on all of your treat boxes and decorations! 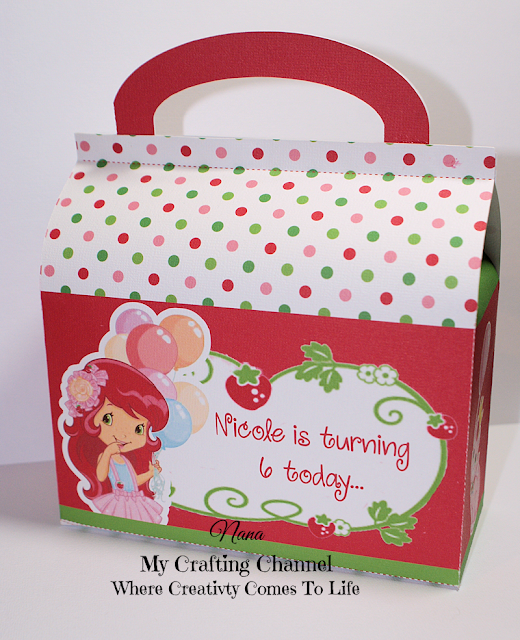 I just love little Miss Strawberry Shortcake!